The site is located in Aldington; a village and civil parish which lies between the town of Ashford to the west and the coastal town of Hythe to the east. To the north, the parish is bounded by the M20 motorway and the Channel Tunnel high-speed rail link; beyond lies the city of Canterbury. To the south, the parish stretches into the low-lying coastal region of Romney Marsh. 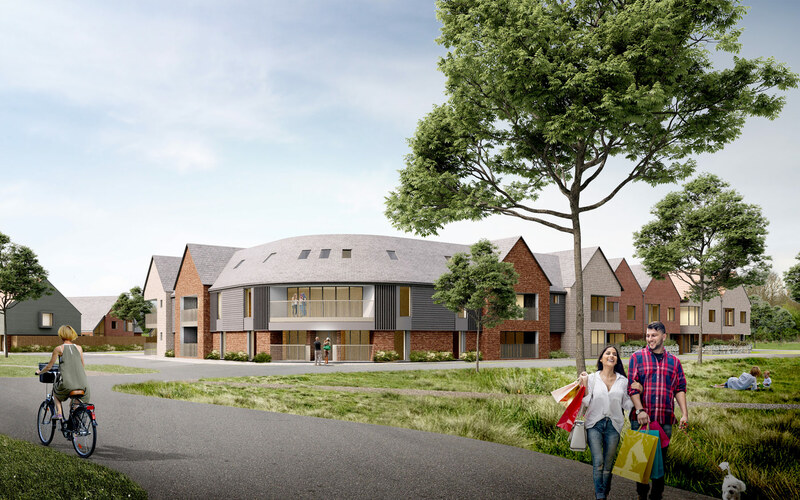 The proposed residential development provides a mix of 2-storey housing types including flats, terraced housing, semi-detached dwellings and detached properties. 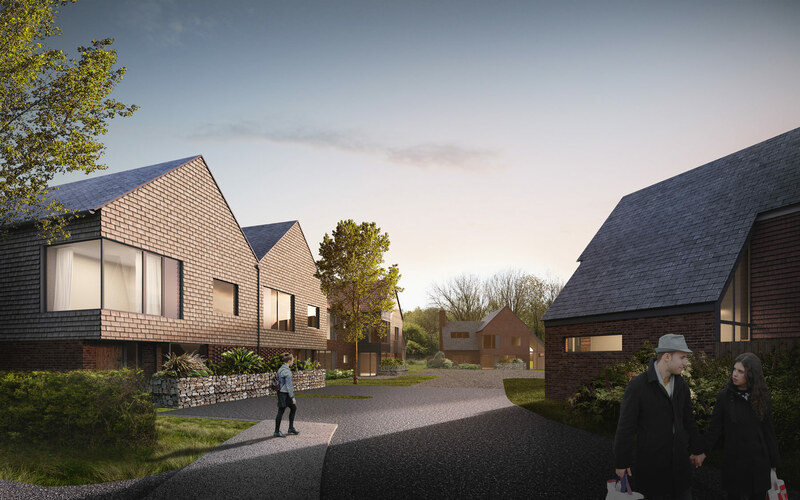 The proposals include the creation of a significant amount of communal green space and landscaped areas with views over the existing woodland. The layout is being carefully designed to integrate with the existing landscape ensuring every dwelling has access to external green space. 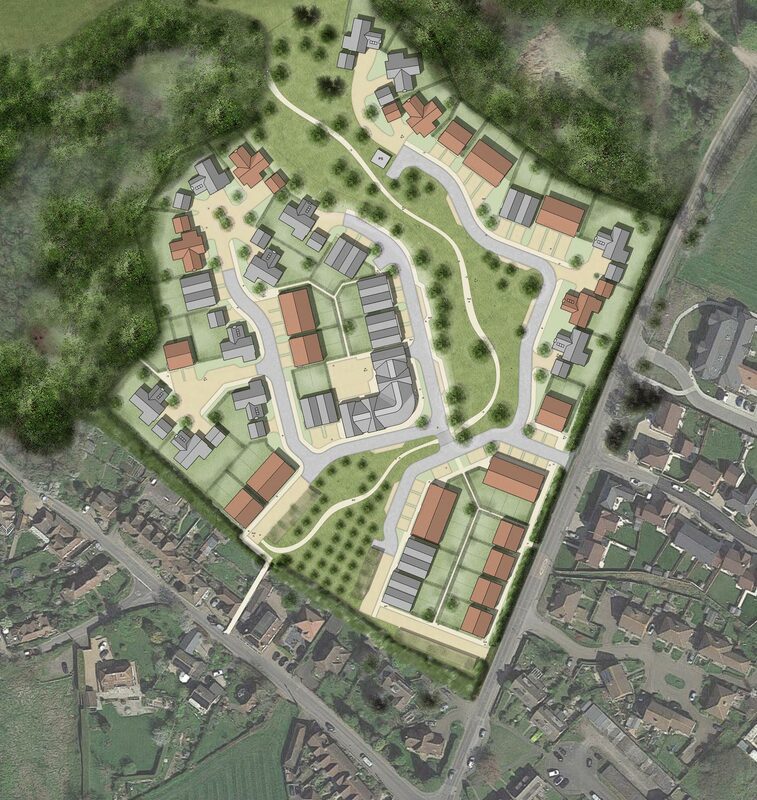 The properties have been carefully positioned within the site to allow views of the surrounding woodland whilst a green swathe through the centre of the development has been incorporated into the design in order to connect with the existing village and public rights of way, as well as to create useable public open space within the heart of the development. The orientation of the proposed buildings have been carefully considered with respect to the existing neighbouring properties to minimise overlooking. The existing hedgerows to the south east and south west site boundaries are to be retained and enhanced as part of the development to reduce the impact on the existing properties on Roman Road and Calleywell Lane providing a natural habitat for local wildlife and enhancing the biodiversity across the site and surrounding area. The architecture is being considered to reflect that of the surrounding context and local vernacular and includes pitched roofs with a traditional palette of materials. 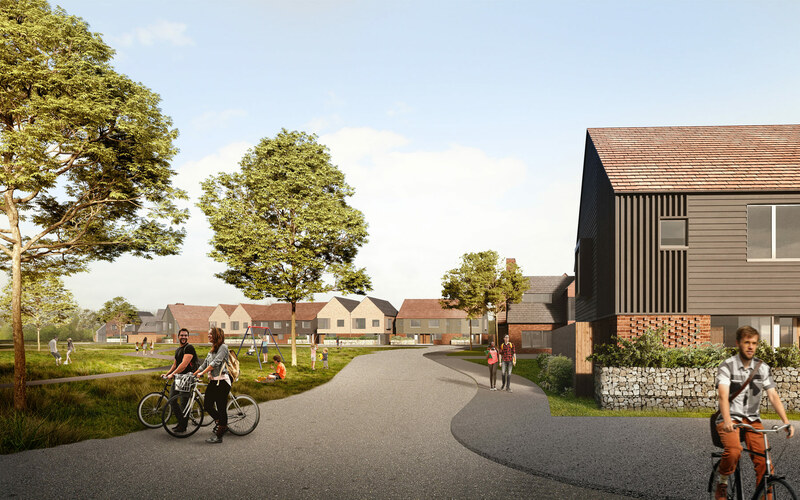 The proposed materials are to be of high quality and will be finished to an equally high standard with contemporary detailing including slate and clay roof tiles, brickwork, hanging tiles and timber cladding. The draft proposals will be available to view at the forthcoming public exhibition in Aldington Village Hall. Members of the project team will be on hand throughout the event to discuss the draft proposals for the site.